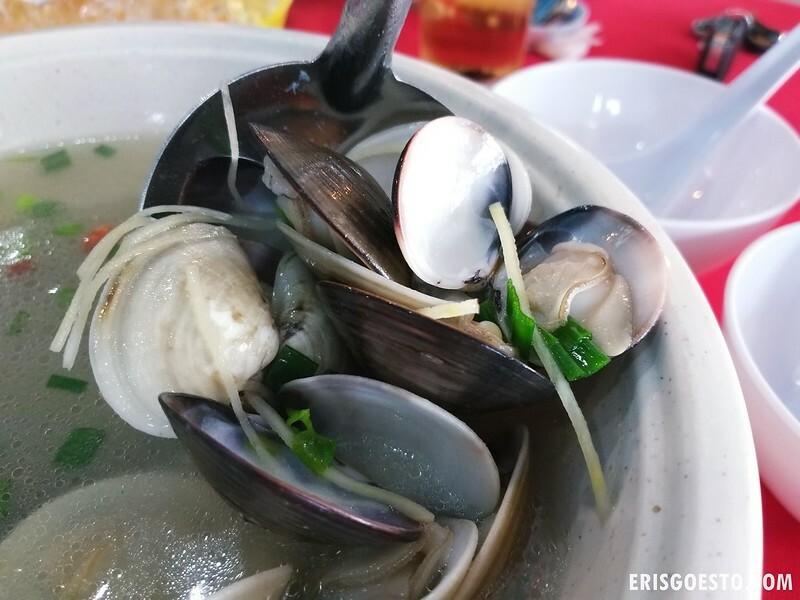 Sungai Pelek, located about 20 minutes from the Sepang International Circuit, seems like an unlikely place for tourists – but that was what the fam and I were there for recently, to see what the small town had to offer. First order of the day – lunch! 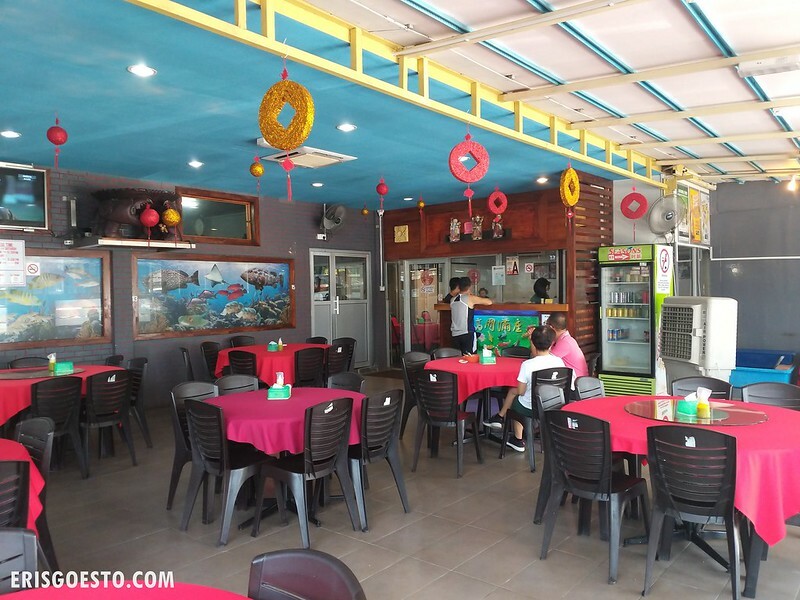 Owing to its close proximity to the river and the sea (Sungai Pelek literally means ‘weird river’ in Malay – a name attributed to a local legend where the river flowed upstream), there are several established seafood restaurants in the area. 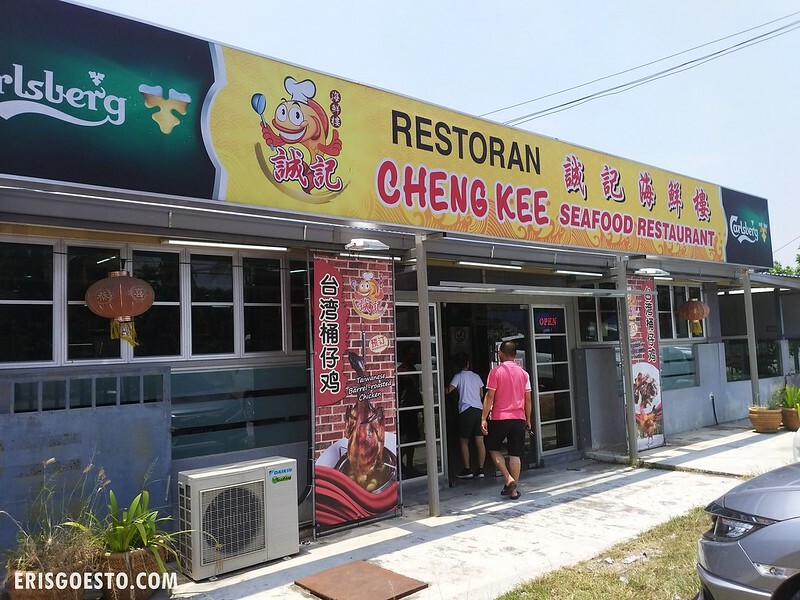 Cheng Kee Seafood Restaurant is one of the larger ones in town, complete with air conditioning so diners can eat in comfort. No question as to what’s popular here. 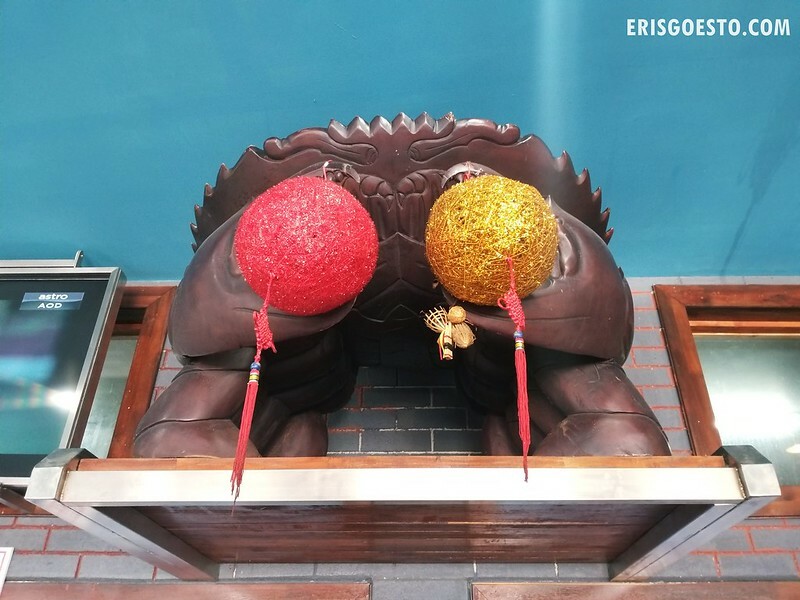 Typical Chinese seafood restaurant interior : underwater paintings, red and yellow ingot decorations, red tablecloths. We ordered one of the house specialties – clams in superior soup. 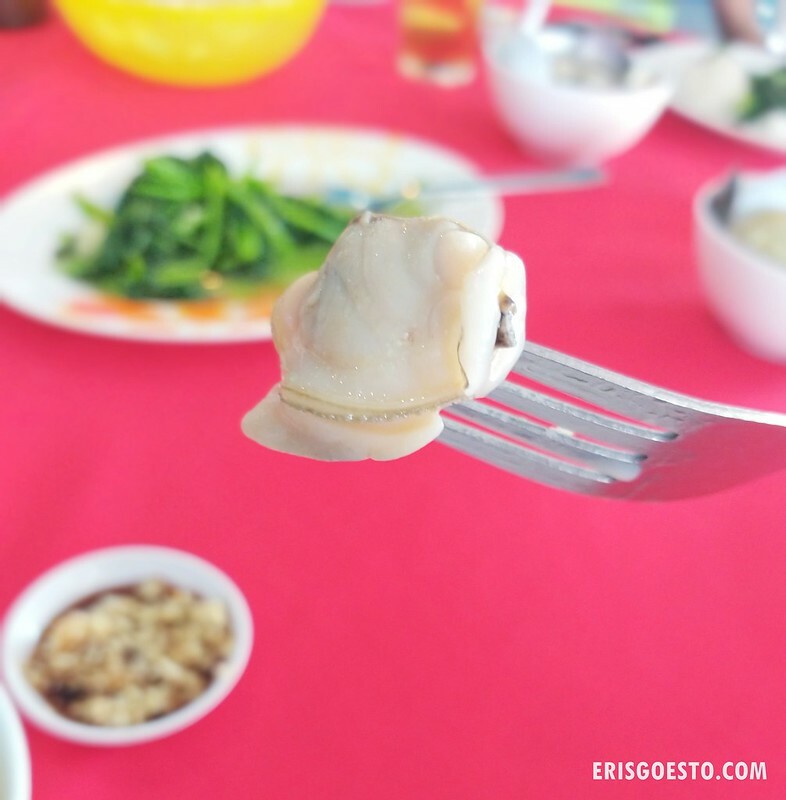 We were impressed with the size of the clams, which were much larger than the ones you find in city restaurants, and juicy to boot. The generous amount of ginger got rid of any unpleasant odours, while the soup was clear, peppery and sweet, thanks to goji berries. Perfect with rice and some chopped garlic + soy sauce. 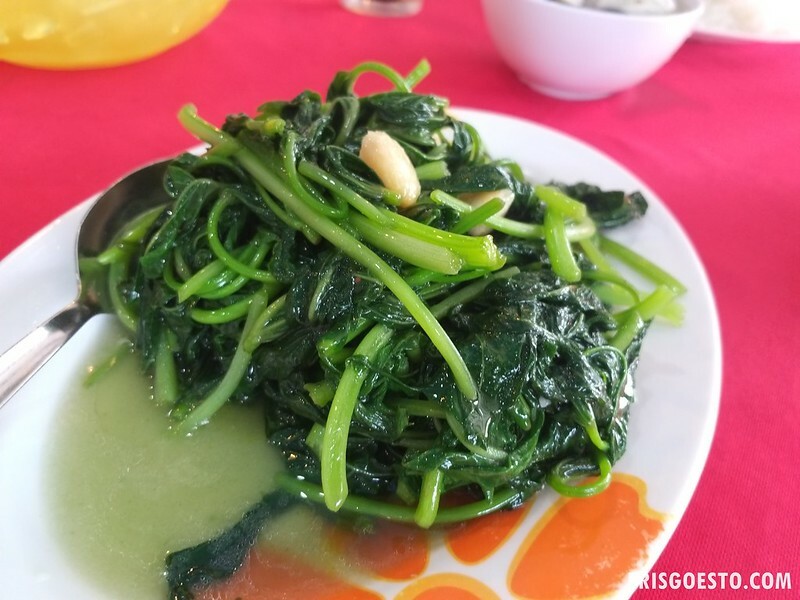 The stir-fried sweet potato leaves were crisp and fresh. 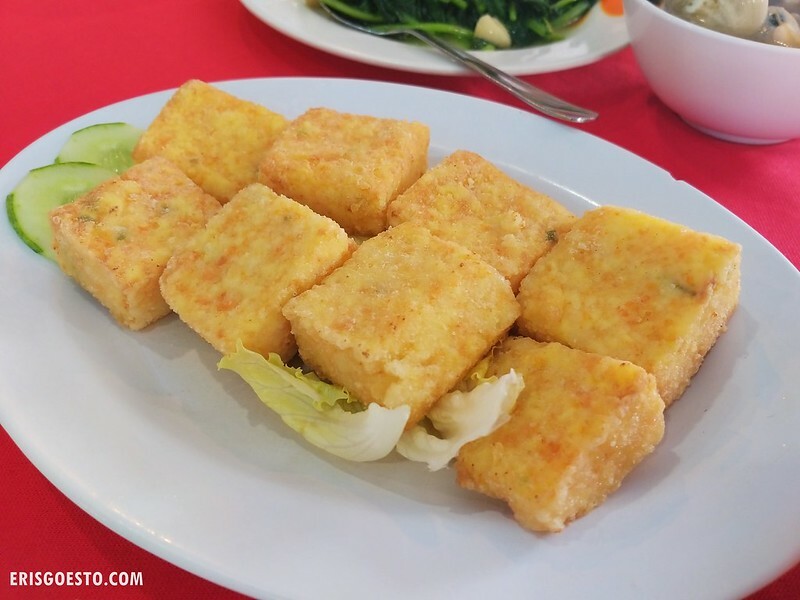 Deep fried tofu, egg and fish paste cakes, which were light and fluffy on the inside. Tasted excellent when dipped into a side of chilli sauce. 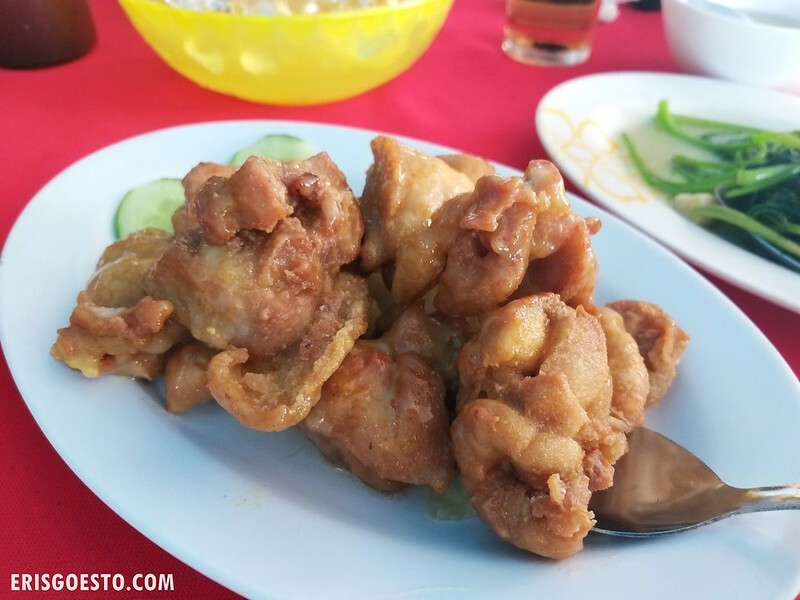 Last but not least, “salad” chicken – essentially fried chicken cooked with mayonnaise. The mayo wasn’t prominent, but gave the chicken a sweetish tinge. Meat was fresh and juicy and tasted homecooked. All in all, it was a satisfying meal that ticked all the boxes! Pricing is quite reasonable as well.